So this DIY is more like a tip but i will still go ahead and do a complete post because i think everyone should know how easy and convenient this actually is. 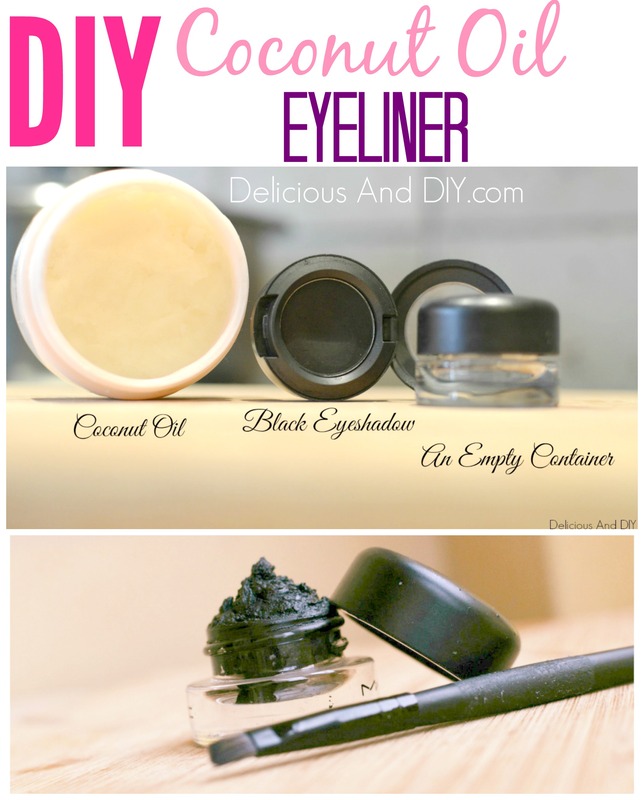 Its very simple you just need 2 simple ingredients coconut oil, black eyeshadow and an empty container. You can do it with any eye shadow color you guys like but since i wanted to somewhat replicate the MAC’s fluidline i went ahead with black. I had some whipped coconut oil lying around from my lemon+coconut oil moisturizer project so i went ahead and used it for this DIY. And you guys no need to whip the coconut oil it should just be in its solid state thats all you need. Depending on the size of the container and on how much you actually want make, scoop out the coconut oil. Do keep in mind the ratio of coconut oil to eye shadow. 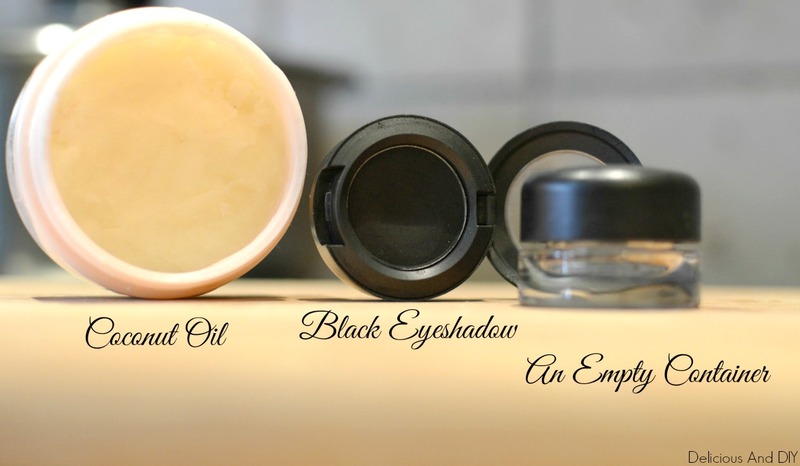 The eye shadow should be more then the coconut oil so it has a thicker consistent and easier to apply. Then just go ahead and scrape off the eye shadow so you get a fine black powder. And thats about it .Mix it completely and incorporate the eye shadow with the coconut oil fully. 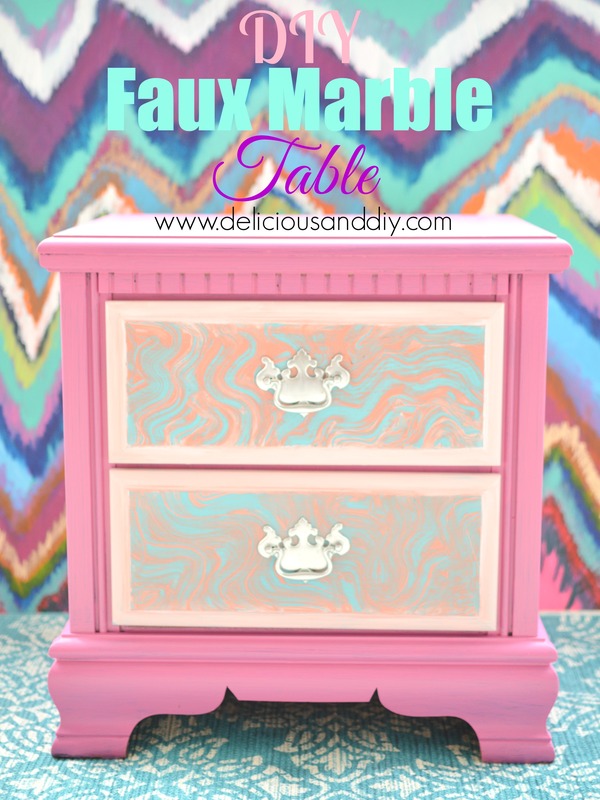 If you want to see what I’ve been up to then do check out some of my other DIY posts. Hey Sarah glad you tried it out. Depending on how much coconut oil you used. The final product should be very thick almost clumpy type that should give you a very vibrant result. but won’t it crease? because the coconut oil? Ooooh I am going to try this out this weekend. I am getting close to finishing up my black liner and I don’t know that I want to buy the same one, so this is perfect! Thanks! 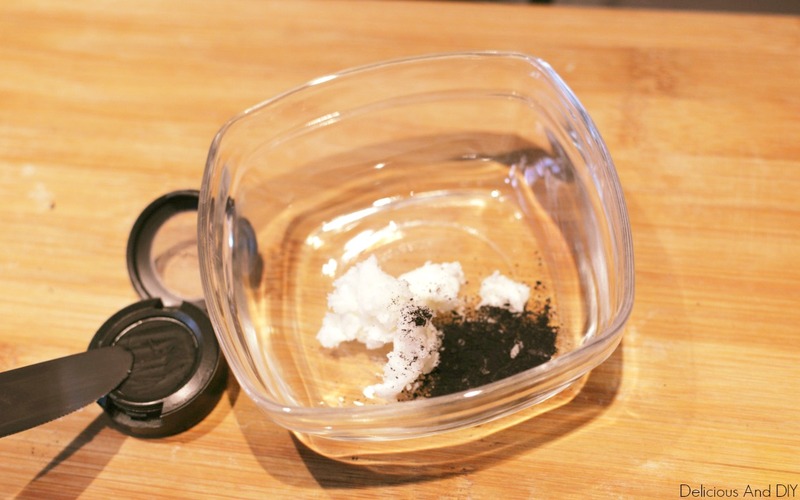 I was wondering if I use the charcoal would I grind it up into a fine powder and then mix it with my coconut oil? How long will this actually stay on? 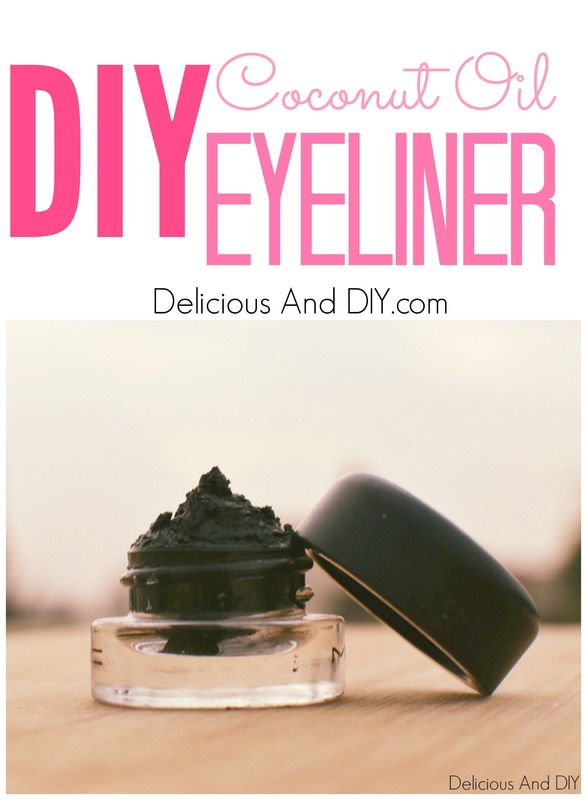 How is the viscosity and is it gritty from the eye shadow or charcoal? This is a really neat idea! I’m glad you posted this 🙂 How can you make it waterproof? could I use a different type of powder such as cocoa powder or cinnamon? because i like the more natural look. This is lovely,i will try it.if I may ask.will it make the eye lashes grow long? What brand of activated charcoal do you recommend?